And reaching for a diet soda fits nicely into the “allowable-exceptions” category of a healthy lifestyle. You know, along with a glass of Sancerre, the occasional dinner at Eataly, and watching the Real Housewives. 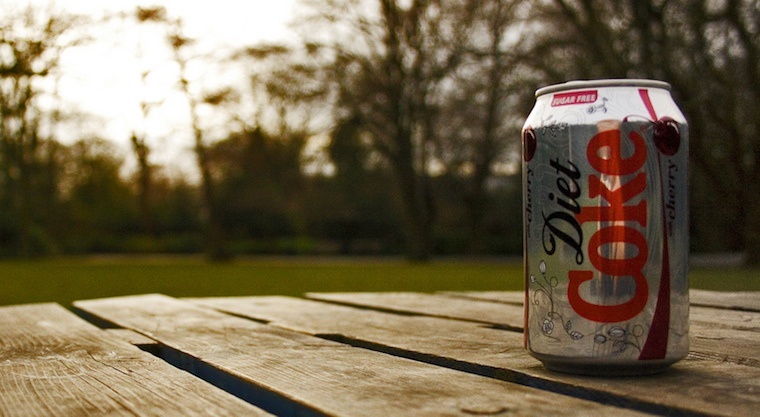 As Dr. Helen Hazuda, professor of medicine at University of Texas Health Science Center at San Antonio, recently found, “[Diet soda] may be free of calories, but not of consequences.” And she wasn’t talking about the caffeine. Originally posted July 31, 2012; updated March 12, 2016. 4. It is linked to diabetes and heart disease. Diet soda may interfere with the kidneys, found the Harvard Nurse’s Health Study, which reported a 30 percent drop in kidney function with just two servings of diet soda each day. Need something else to sip on? One family nixed their diet soda habits by drinking juice, which is an equally friendly on-the-go option.